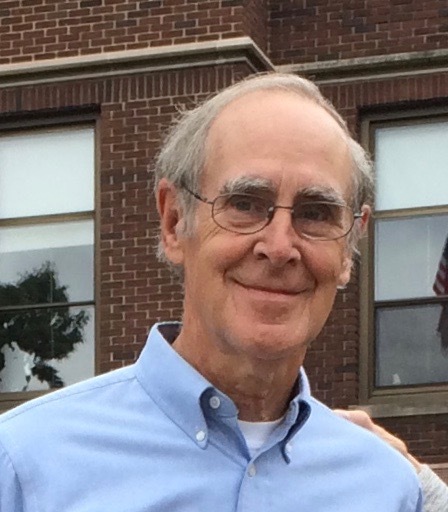 On August 23, 2018, at age 76, William Bradford Bidwell of New Haven, Connecticut passed away peacefully at Connecticut Hospice after a relatively brief battle with cancer. Bill will be remembered fondly by so many people as a kind and caring man who always put others before himself. For the past month Bill has been surrounded by his loved ones. His daughter, Laurel Bidwell; His son, Birch Bidwell; His life partner, Nan Bartow; His step-daughters, Jenny Baker (spouse Mary Beth Bongiovanni) and Laura Baker; His brother and sister in-law, Blake and Helen Bidwell; His nephew, Crawford Bidwell (spouse Joan Wildermuth); His niece, Lynnea Mahlke (spouse Axel Mahlke); And finally, his four loving and vivacious grandchildren (Sam, Aaron, Michael and Anna) and two great-nephews (Kurt and Max). The six children have been his biggest joy as they embody the true spirit of life and love. Bill is a 1963 Yale College graduate and he earned his Ph.D. in History from the University of Rochester in 1979. He worked at Yale University as Recording Secretary until his retirement in 2011. He took great pride in his affiliation with Yale and was honored to work with so many great individuals throughout his career. He will especially be remembered for his powerhouse plays on the softball field with the “Stock Jocks” Yale Investments team. In their retirement, Bill and Nan spearheaded the revitalization of Beaver Ponds Park. They worked tirelessly in partnership with New Haven’s Urban Resources Initiative (URI) and with the New Haven Parks Department for 14 years in order to bring the natural part of the park back to life and to make it a peaceful refuge for local residents and wildlife. Seven days a week you could find Bill removing invasive vegetation, replanting with natives, building trails, and collecting litter. He had a great love for this work and for the numerous volunteers who took part in this effort. Bill especially valued the collaboration with the Yale Forestry School where his father received his M.F. in 1932. Bill is preceeded in death by his grandparents, Charles Hubbell and Mary Electa Bidwell and his parents Charles Bradford and Ilo Bidwell (nee Bleke). A memorial service celebrating Bill’s life will be held on September 15, 2018 at 2:00pm at the Unitarian Society of New Haven, 700 Hartford Turnpike, Hamden, CT. A reception will immediately follow. In lieu of flowers a charitable donation may be made in Bill’s name to one of two organizations: The Bidwell Scholarship Fund at Yale University (payable to “Yale University” and mailed to: Yale University, Office of Development, P.O. Box 2038, New Haven, CT 06521-2038) OR to Friends of Beaver Ponds Park (Payable to “Urban Resources Initiative”, c/o Colleen Murphy-Dunning at Urban Resources Initiative, 195 Prospect St., New Haven, CT 06511. Please write Bill Bidwell in the subject line). Before his passing, Bill asked us to celebrate his life and to share joyous memories instead of mourning the loss.